The Warren Commission’s conclusion that Oswald was a "lone gunman" failed to satisfy some who witnessed the attack and others whose research found conflicting details in the commission’s report. 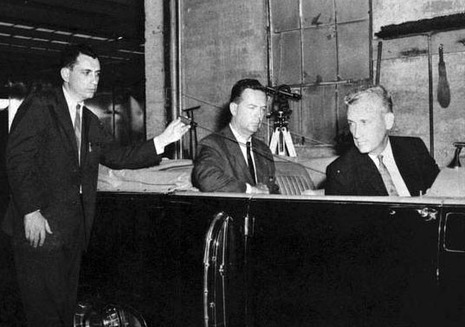 Critics of the Warren Commission’s report believed that additional ballistics experts’ conclusions and a home movie shot at the scene disputed the theory that three bullets fired from Oswald’s gun could have caused Kennedy’s fatal wounds as well as the injuries to Texas Governor John Connally, who was riding with the president in an open car as it traveled through Dallas’ Dealey Plaza that fateful day. So persistent was the controversy that another congressional investigation was conducted in 1979; that committee reached the same conclusion as the Warren Commission. 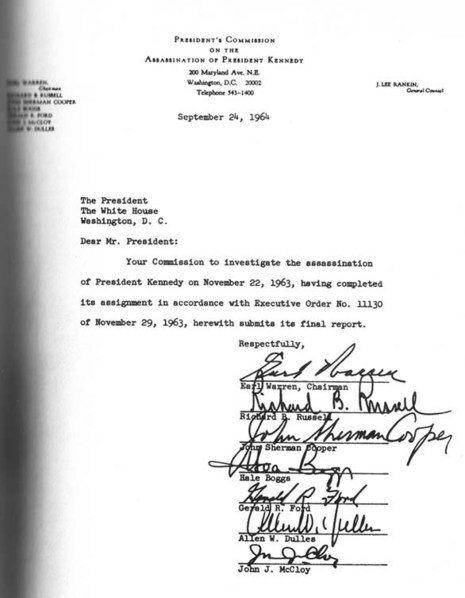 The President's Commission on the Assassination of President Kennedy, known unofficially as the Warren Commission, was established on November 29, 1963, by Lyndon B. Johnson to investigate the assassination of United States President John F. Kennedy on November 22. Its 888-page final report was presented to President Johnson on September 24, 1964, and made public three days later. It concluded that Lee Harvey Oswald acted alone in the killing of Kennedy and the wounding of Texas Governor John Connally, and that Jack Ruby acted alone in the murder of Oswald. The Commission's findings have since proven controversial and been both challenged and supported by later studies. The Commission took its unofficial name—the Warren Commission—from its chairman, Chief Justice Earl Warren. According to published transcripts of Johnson's presidential phone conversations, some major officials were opposed to forming such a commission, and several commission members took part only with extreme reluctance. One of their chief reservations was that a commission would ultimately create more controversy than consensus, and those fears proved valid. The Commissions were printed off at The Double Day book publisher located in Smithsburg, Maryland. 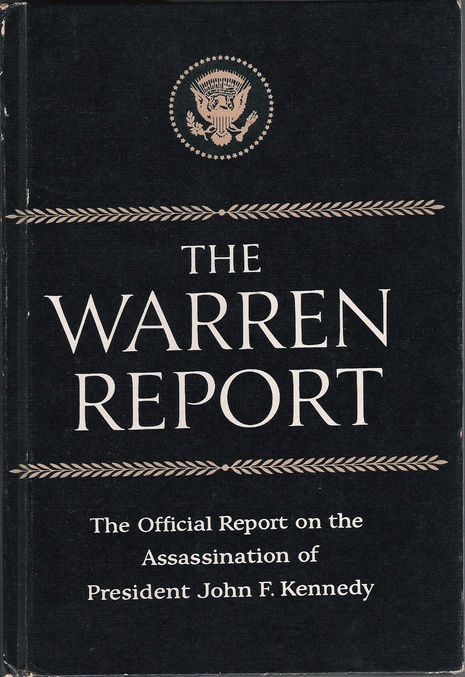 The President's Commission on the Assassination of President Kennedy, usually called the Warren Commission after its chairman Chief Justice Earl Warren, conducted hearings in 1964 on the assassination of President Kennedy. It issued its now-famous finding that Lee Harvey Oswald, alone and unaided, killed President Kennedy in Dallas on November 22, 1963. It further found that Jack Ruby's murder of Oswald, while Oswald was in police custody, was also not part of any conspiracy.